Day of Fast and Abstinence: able-bodied adults are expected to have only one complete meal and refrain from meat. 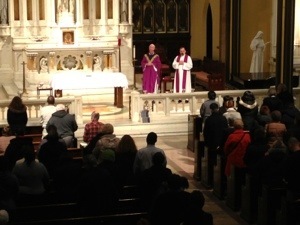 Exposition of the Blessed Sacrament: Weekdays during Lent from 9 am to 12 noon. Please RSVP if you can attend for an hour.